Writers On The Move: What I Learned From the Movie "Young Adult"
I recently saw the movie "Young Adult" starring Charlize Theron. The premise: a writer of young adult novels returns to her small hometown to woo her high-school ex-boyfriend. Only problem? He's married with a newborn baby. Not exactly the recipe for a fairy-tale romance. But the screenwriter is Diablo Cody, who wrote the smart and quirky movie "Juno," so I went to see "Young Adult" with pretty high hopes. Write anywhere and everywhere. In the movie, we see Charlize Theron's character working on her young-adult novel in coffeeshops, restaurants, in her bed and at her desk. When she checks into a hotel, the first thing she does is plug in her laptop. That said, I was annoyed by the portrayal of her getting incredibly drunk every night and waking up hungover, yet still magically being able to finish her book. I think the drunken artist/writer is one of my least favorite cliches. I also didn't agree with the way the movie depicted the YA genre as shallow, uncomplicated, and easy to write. If classic books like Catcher in the Rye and To Kill a Mockingbird were published today, they would be considered YA. Be mindful of your details. Charlize Theron's character constantly eats junk food throughout the movie, and a lot of it -- a family-sized meal at Kentucky Fried Chicken, pints of Ben & Jerry's ice cream, liters of Diet Coke. Yet she remains supermodel-thin and looks down on other characters from her hometown for being "fat." There is no way she could eat that way and look the way she does! Avoid stereotypes. Charlize Theron's character returns to her small town, and her stereotypes about "small-town people" are reinforced. The comic-book lover is a "boring loser" who paints model action figures and lives with his sister. The women her age all got married at twenty and never left town. They wear tacky sweaters and have no idea who Marc Jacobs is. It would be one thing if this was just how Charlize Theron's character saw these people -- that would fit well with her character -- but that is not the sense we are given from the film. Case in point: a scene towards the very end, when one of the young women who lives in this small town asserts the stereotypes to be true: "People here are all fat and dumb." As someone who now lives in a small Midwest town, I personally know this is not only completely untrue, it is also offensive and, in terms of writing, sloppy. Push past stereotypes! 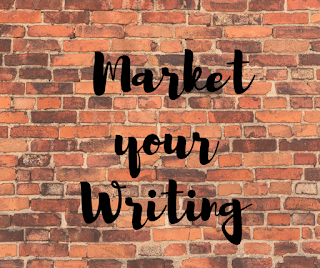 Deepen your characters! Have your characters grow. This is perhaps the biggest problem I had with the movie "Young Adult" -- Charlize Theron's character doesn't grow or change from beginning to end. She is immature, narcissistic, and self-centered when we meet her, and she is the same way when the credits roll. It's fine if you choose to write an unlikeable character, but even unlikeable characters should have likeable sides to them. The best characters, in my opinion, are nuanced people. What makes me care about and root for a character is seeing them grow and change, hopefully for the better. Charlize Theron's character certainly had plenty of room to grow, yet she didn't take any steps forward, not even baby steps. I left the theater thinking, What was the point of that? Have any movies -- good or bad -- taught you something about writing? I'd love to hear your comments! Dallas Woodburn is the author of two award-winning collections of short stories and editor of Dancing With The Pen: a collection of today's best youth writing. Her short fiction has been nominated for the Pushcart Prize three years in a row and her nonfiction has appeared in a variety of national publications including Family Circle, Writer's Digest, The Writer, and The Los Angeles Times. She is the founder of Write On! For Literacy and Write On! Books Youth Publishing Company and is currently pursuing her Master's degree in Fiction Writing at Purdue University, where she teaches undergraduate writing courses and serves as Assistant Fiction Editor of Sycamore Review. As a writer myself, I love movies that feature writers as main characters. And I enjoyed that aspect of this movie. But, like you, I was disappointed that the main character didn't really change or grow very much. It left me wondering, "What was the point of all the things she went through?" Analysing movies is a great way to improve writing Dallas. For me, I have to admit the movie Stranger Than Fiction inspired me in many ways, not least because of the fantastic performances (Thompson is an inspired author), and the fun way it plays the boundaries between fiction and 'reality' (which is of course still fiction in this case). Dallas, great information as usual. I've been reading some 'writing' books lately and they all use movies, along with books, to show the progression of a story. And, one of the biggies is to have the MC grow or transform in some way. It's surprising that screenwriters are still using such cliches when writing about writers. I haven't seen the movie yet, but with what you and Suzanne said about it I don't think I'll bother. Thanks for your comments everyone! I agree Maggie, I loved the movie Stranger Than Fiction and found it very inspiring! Every time I watch it, I come away inspired to craft my own stories. Have arrived late to your post. Although I have not seen the movie it was just wonderful to see how positively you reacted to a less-than-perfect experience. I hated Black Swan and grumbled for weeks instead of learning from what I saw as fatal flaws.